Make Your Furniture Look New Again. Why buy new furniture when you can reupholster? 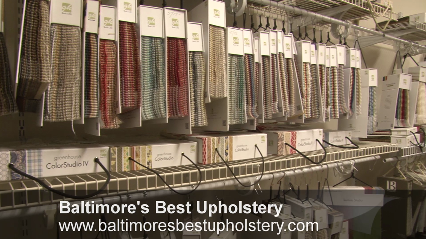 At Baltimore's Best Upholstery, we have an amazing selection of beautiful fabrics for you to choose from to give your furniture a whole new look. Call Chris at 410-236-2603 to discuss your options with our craftsmen! Revive your old, worn out furniture with expert upholstery and repair services from Baltimore's Best Upholstery. Call to schedule your FREE estimate today! Are you looking for something completely unique? We offer custom window treatments and custom-built furniture for a style that's all your own.